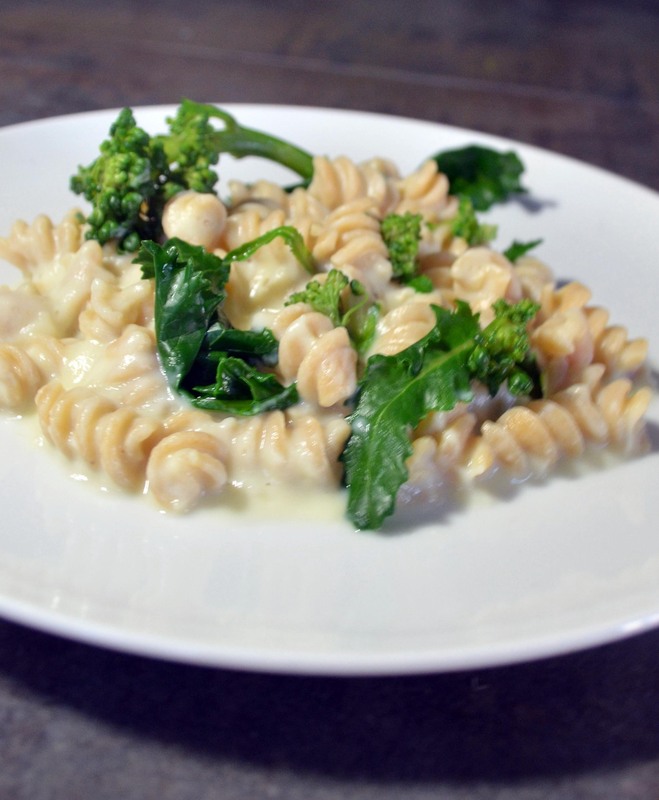 This recipe was inspired by Ina Garten’s incredible recipe for Parmesan-Roasted Broccoli. 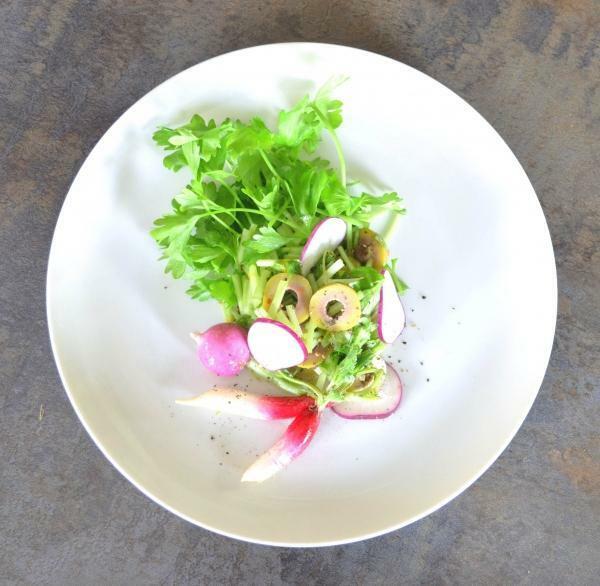 But this version takes a bit of a turn from Mediterranean flavors to the Far East thanks to the flavor of black garlic. That’s right, broccoli with black garlic. 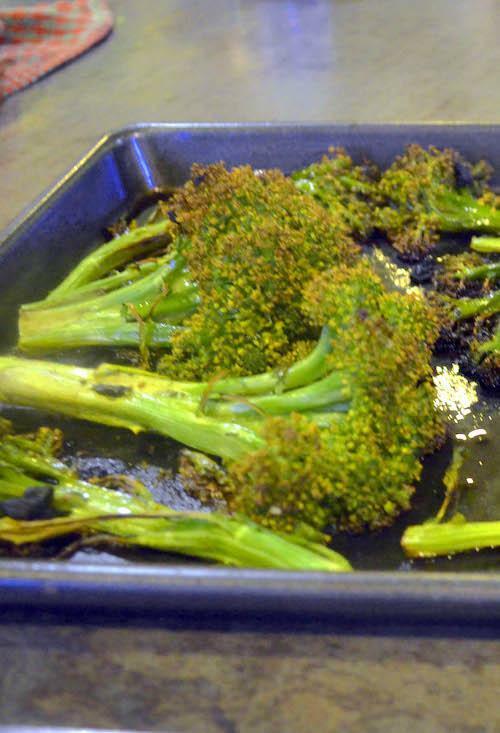 We use Garten’s technique for roasting the broccoli in a bath of olive oil to produce a crunchy texture and add the subtly exotic flavoring of black garlic. The result? We think we have a recipe for one seriously sensual side dish. It just might be the best broccoli we’ve ever tasted. 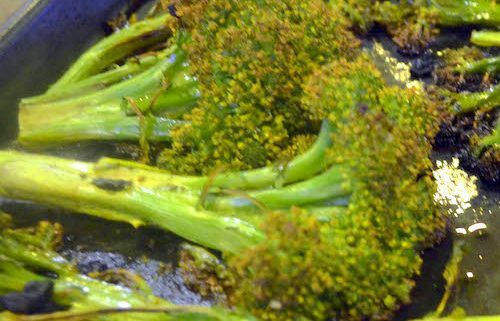 An easy side dish, this recipe for broccoli roasted in olive oil uses black garlic for some bold flavor. Cut the broccoli into florets, utilizing all but about an inch of the stalk. Arrange the florets on a baking sheet large enough to hold them in a single layer. Sprinkle the garlic and salt on top of the broccoli and drizzle with the olive oil. Roast on the middle rack of the oven for 20-25 minutes, until the tips are crisp and tender and some of the tips have browned.